We are the only bakery in the area making this delicious cake, it is made to order and we use only the best ingredients! To order please specify size of cake, amount you want to serve and the date you need the cake. Please be advised that we need a 2 week advanced notice for the cake order. "They loved the cake, it was very authentic ," Real marzipan and real raspberry jam with seeds" they exclaimed! Such a big hit. It looked beautiful. Thank you for the added bonus of the perfect little cookies which have taken care of an additional gift. Thank you!" - Harriet B. "Thank you so very much for the Princess Cake! Everyone thought it was quite delicious. G. was the only one of us who had eaten a Princess Cake before last night; I can say that he was over the moon excited that his favorite type of cake could be found in the area, let alone one of such high quality. He went on and on about how happy he was with it! Thank you for helping to make his birthday special! You have two very satisfied customers; I am certain you will see us again in the future." 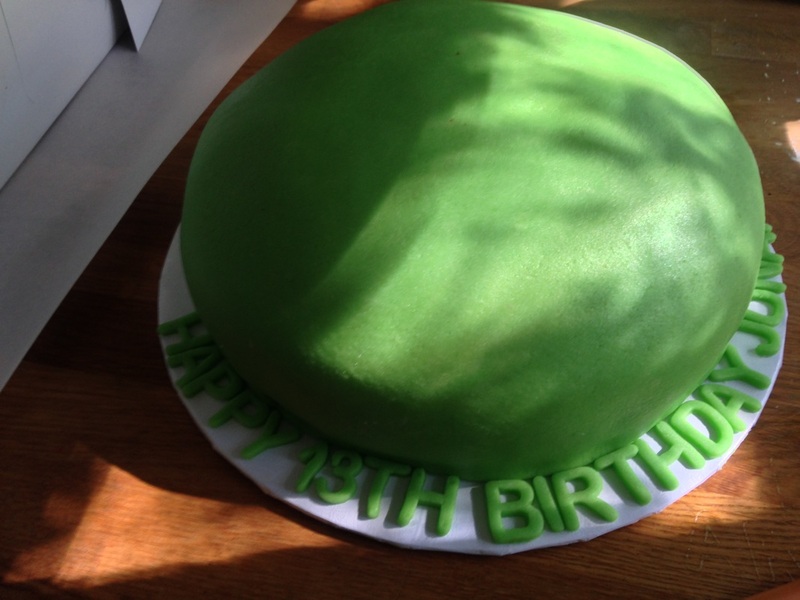 -Ryan B.
Swedish Princess cake also known as princesstarta is one of Sweden's most popular cakes and was originally invented int eh 1930's being called the "green cake" to start, due to the green colored marzipan exterior. In Sweden more then 500,000 princesstarta are being sold. 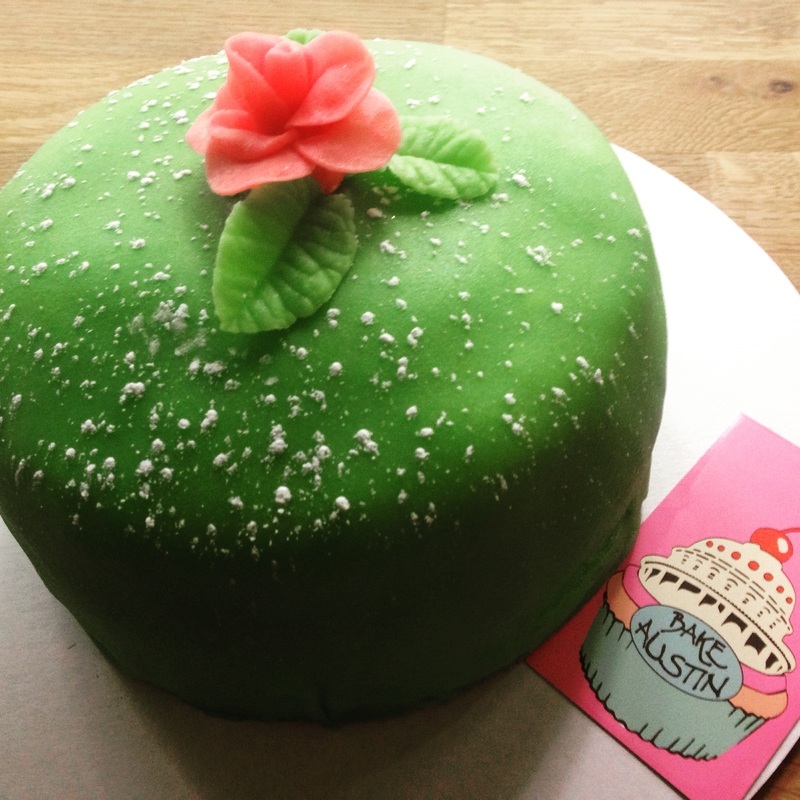 The name Princess Cake was adopted when the three princesses of Sweden fell in love with the cake. Traditionally the cake is colored a striking neon green but nowadays it’s common to see it in many other colors including pink and yellow. The cake consists of three light sponge layers, sandwiched with a layer of crème patissière and fruit, a layer of plain crème patissière and then a mound of whipped cream on top with a marzipan layer on top. Variants on the layers are quite common and can also be referred to as Prinstårta and Opera Cake.